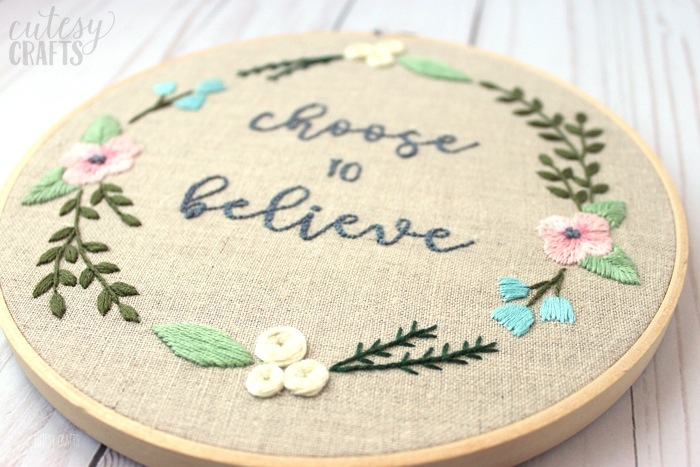 I’ve noticed lately that there is a trend in the embroidery world to create hoops with vulgar images or phrases. If you don’t know what I’m talking about, do a search on the wonderful internet, and you’ll see what I mean. Or maybe don’t… some of them are pretty bad. It’s such a foreign concept to me. Like who hangs that in their house?! Anyway, I decided to make a hoop that would have a positive message and mean something special to me. 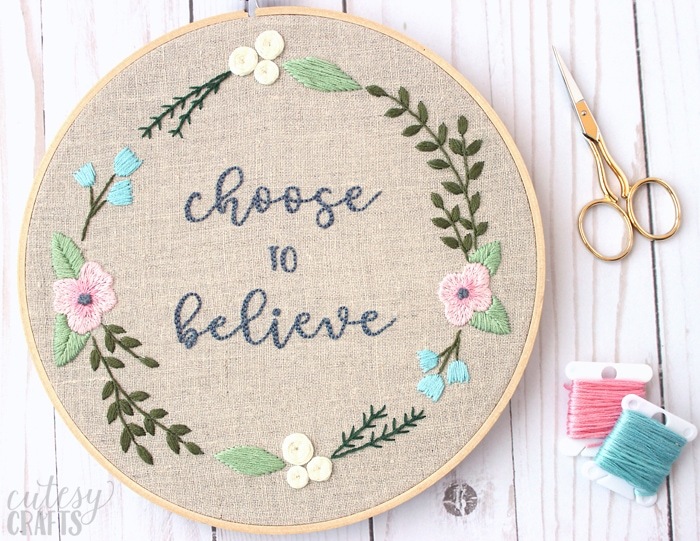 I used the words “choose to believe” on this hoop, since that has been my mantra for the past couple of years. It comes from one of my favorite talks, “Choose to Believe” by Elder L. Whitney Clayton. It’s a beautiful talk about faith and actively choosing to believe. 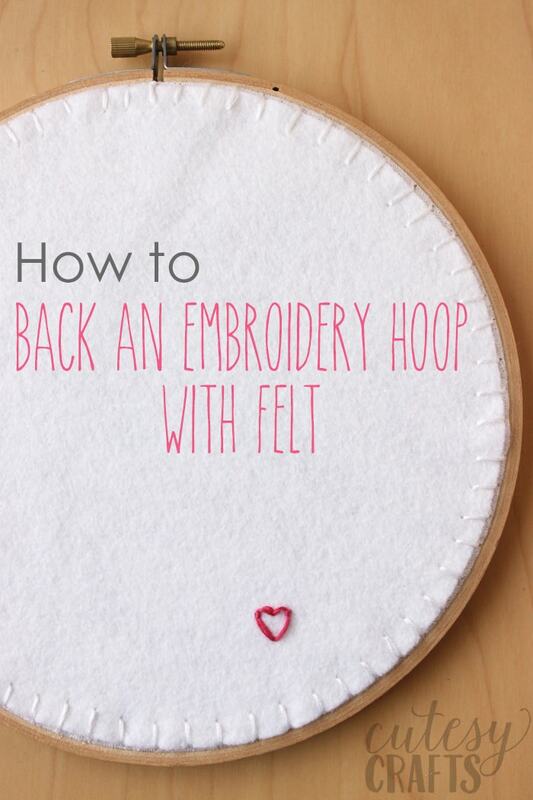 Of course, you can use whatever words you want for your hoop. I linked to the font below so you can change them. Use whatever inspires you. Just try to keep it classy people! Haha! I created a free embroidery design for this one that you can download at the bottom of this post. The pink flowers are a little bit more of an advanced move, using a long and short stitch. I used the long and short stitch on this butterfly embroidery hoop. It has some good photos to help you figure it out. 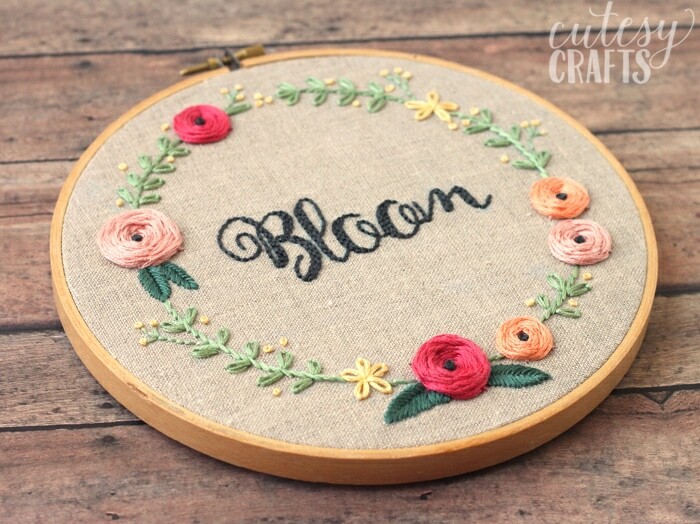 If you aren’t comfortable with that, you can use a satin stitch or just outline the flowers. 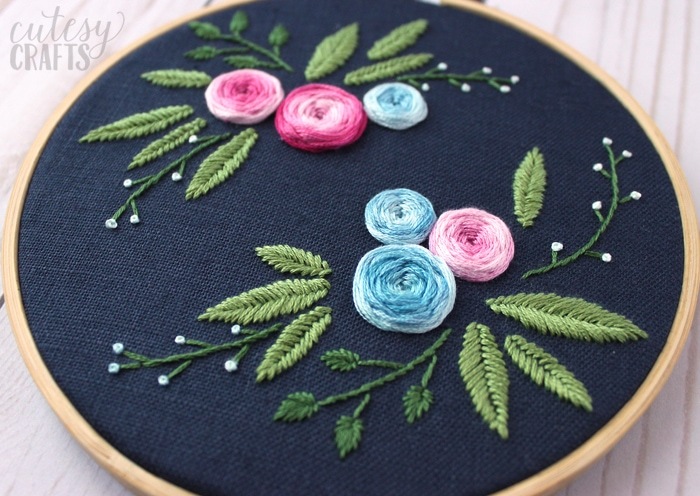 The blue flowers are a satin stitch. As usual, for these flowers, I like to stagger the length of the stitches to make them appear more natural. The words are a back stitch. I did two rows on the thicker parts of the font. If you want to change the words, the font I used was Stea. Look at my post on how to embroider letters by hand to see a video tutorial. 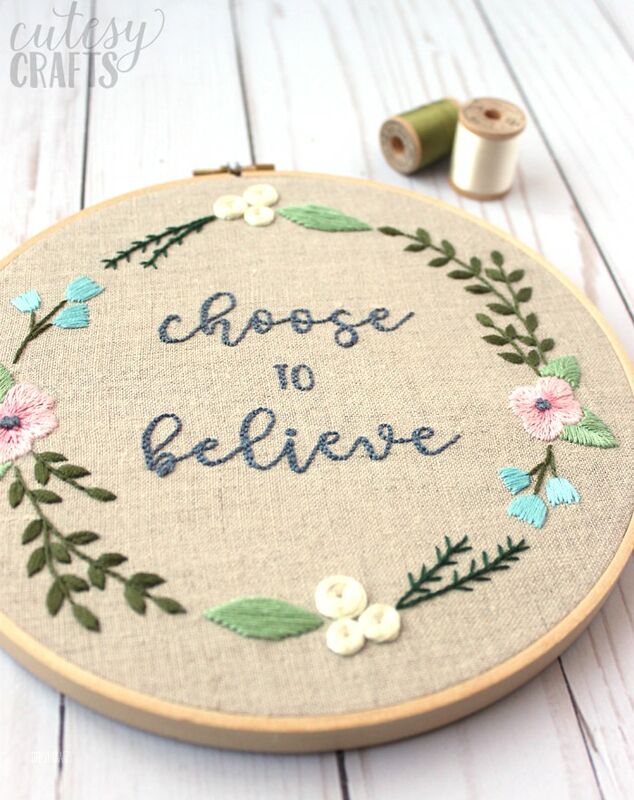 I hope this hoop makes you to think of a phrase or word that inspires you. I’d love to see your creations using this pattern! 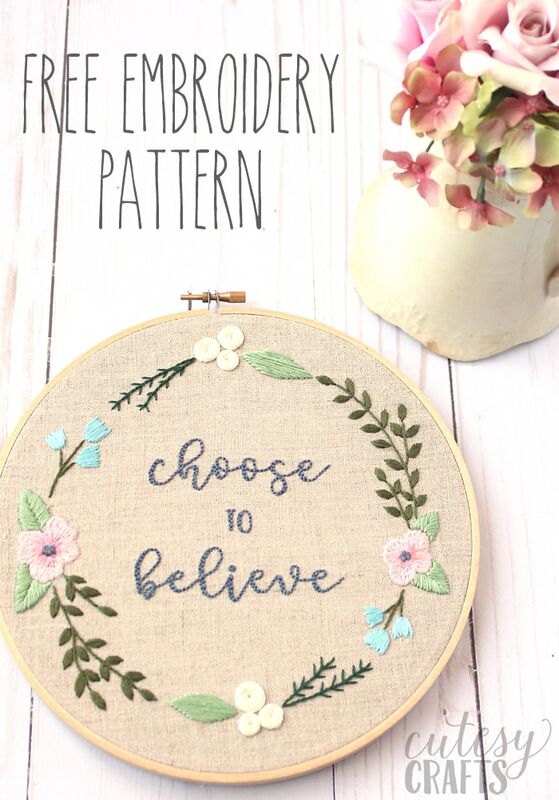 Make sure you check out all of my other hand embroidery designs and check out my stitch library to learn all of the hand embroidery stitches you need to make this free embroidery design. I, too, have noticed the same thing and I can’t understand it either. I love this hoop. Well done! I love your projects, but I am not sure that I would be able to repeat he same. I only do a cross stitch, simply following a combination of colors and symbols in the squares given as an instruction to each project! Thank you for a positive message. I find the latest vulgarity craze shocking and demeaning to others and oneself. I love embroidery. I started with kits when I was 10 and taught myself. No internet then! Yes, it’s horrible. 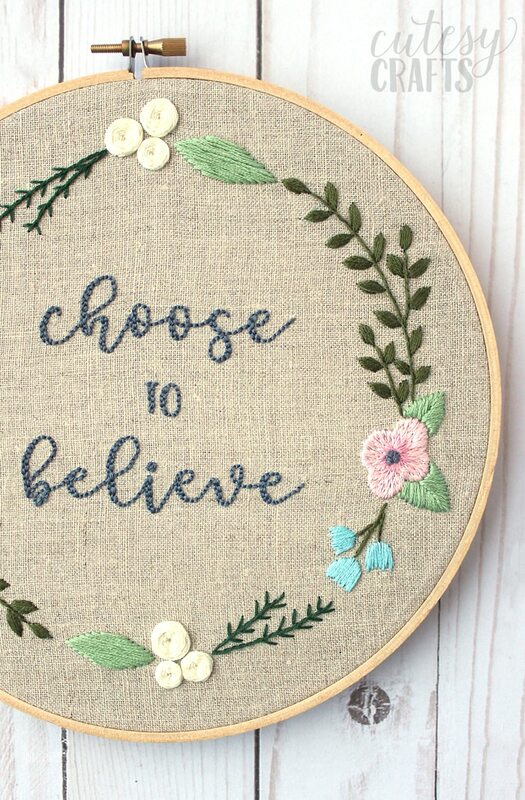 I’m always so shocked while browsing Instagram for embroidery inspiration. How impressive that you taught yourself at age 10! It would have been so much harder to learn without video. We have it so easy these days! Hello! I am getting ready to stitch this pattern. 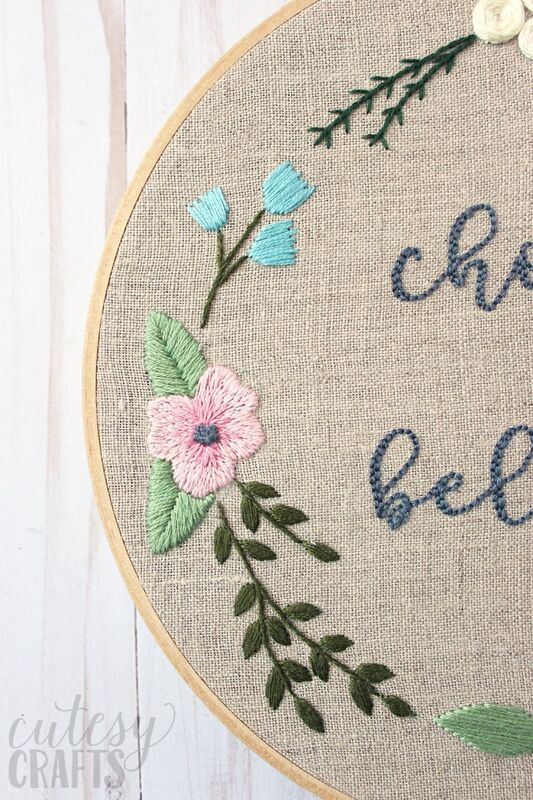 I’m new to embroidery and this will be my first attempt at the short and long stitch for the flowers. I am wondering if you start in the center of the flower and stitch out or work from the outside in? Thank you! 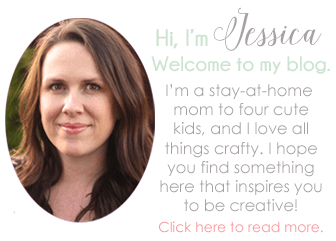 I love your free patterns! This will be the 3rd one that I’ve used, so thank you for them! I’m so glad you like them! I like to work from the outside in. Take a look at the photos in this post: https://cutesycrafts.com/2017/07/butterfly-embroidery-mesh.html. That will give you an idea of how I did the flowers.